There was a bloody clash between members of the All Progressives Congress (APC) and the Peoples Democratic Party (PDP) in Edo State on Tuesday, following the discovery of 500 permanent voter cards (PVCs) at the residence of a chieftain of the PDP. 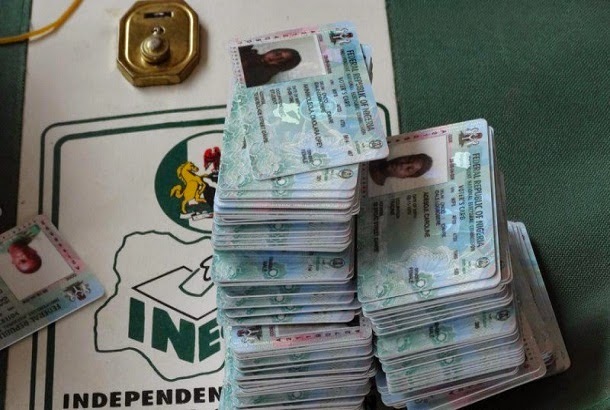 The police took him to his house to search the place and when they got there, 500 PVCs were found in his room. He reportedly confessed the PVCs belonged to a House of Representatives candidate from Edo Central. PLS GUYS,IT IS TIME YOU STOP LISTENING TO SAHARAREPORTERS, THEY ARE FRAUDSTERS, PARTIAL, ON PAYROLLOF APC, APC BOUGHT BIG MANSON FOR THE YORUBA PUBLISHER IN US. PDP r trying all possible means to win. stupidthinker wen wl ur eyes b opened. He should be allowed to go. All APC members, including their oga should swear that their hands are clean. All of them are doing the same thing. the source is incomplete were is the name of the persons involved,i dont believe this ,seem like fabricated story.